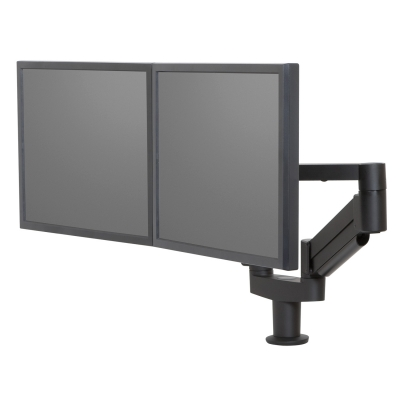 Easily mount dual 7Flex® monitor arms from one point on your desk and effortlessly reposition each monitor with just one hand. Enjoy working in greater ergonomic comfort as you free up desk space. The dual 7Flex Monitor Mount offers incredible dual monitor flexibility and versatility at an attractive price. VESA monitor stand compatible – 75mm & 100mm VESA adapters included.